Wednesday night was one Northwestern fans would probably like to forget. The baseball and softball teams each traveled to Chicago-based schools, UIC and DePaul respectively, and both lost in walkoff fashion. Melissa Haniff takes you through the softball loss, which endangered the team’s chances at an NCAA Tournament bid. Max Gelman recaps the baseball loss, putting the game in the context of a season filled with losing. 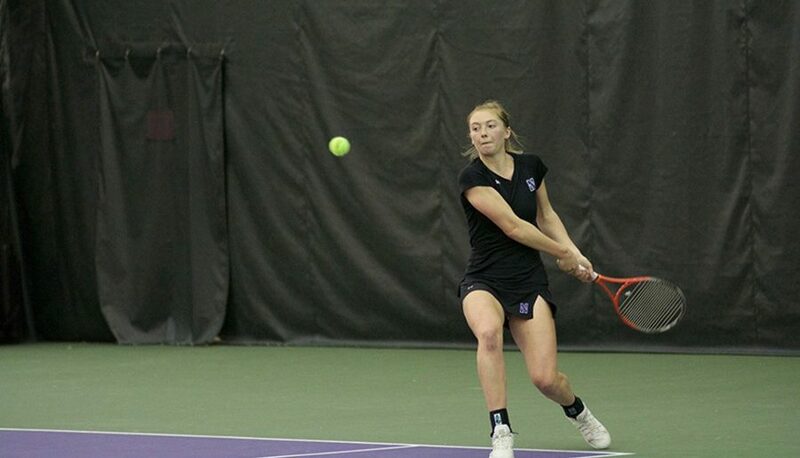 In our next installment of ‘Curtain Call’, Mike Marut profiles women’s tennis senior Alicia Barnett and her growth through tough losses on and off the court. 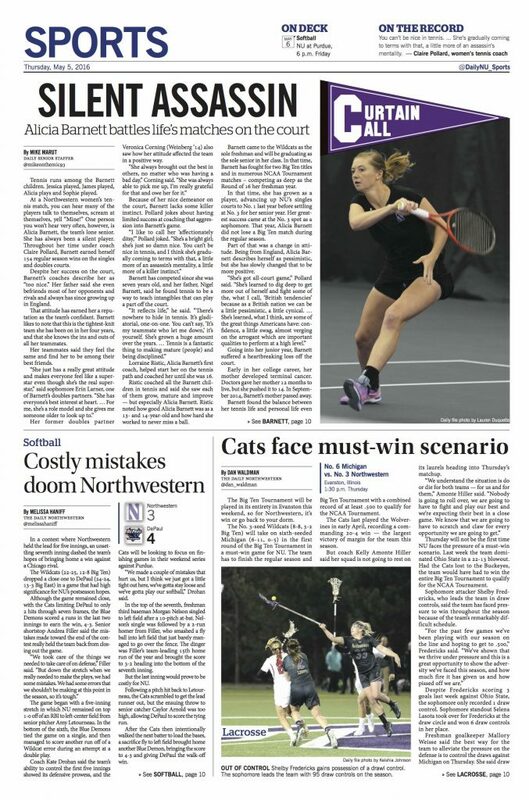 Dan Waldman previewed the lacrosse team’s opening Big Ten Tournament match, which is taking place in Evanston this year. Joe Wilkinson takes a look at the women’s golf team and its chances on advancing past the NCAA Regionals. More Wildcats won awards, and even more Wildcats were selected for tournaments.